The Imperial College Executive MBA runs for 23-months in a part-time format based in London. The structure of the program allows working professionals to earn a degree attuned to their own schedules. The first year of the program will be centered in South Kensington for two days per month, along with two international residencies. The second year in the program focuses on completing electives, a residency in the United States, and one final project. Before the program begins, students enter a pre-study module to prep for core courses, which is then followed by a four day induction sequence in February that takes place from a Wednesday through a Saturday. Core modules are taught for the next 10-to-12 months on campus once per month (Friday and Saturday). Exams take place in August and January. Two hours of Leadership Coaching take place during the same weekend. During the middle of the first year, students will take residency in China, followed by a residency in a top business school in Europe at the end of the year. Year two requires four total electives, which can be completed on campus or online. The year culminates with another residency, this time to the U.S., and a final project – a lengthy formal report. 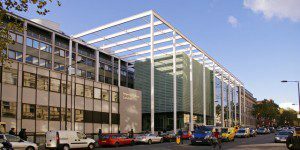 The current Imperial College Executive MBA class has an average student age of 39, and 40 percent of students identify as female. The average number of years of work experience is 15, and 36 percent of students are of international origin. The average starting salary of Imperial Executive MBA grads is $121,000. The total fees for entry are £57,000. The fees include tuition and accommodation for the one week international study tour. The fees do not cover accommodation in London. Travel arrangements are not covered by the fees and are the responsibility of the participants. Fees are the same for overseas and UK students. Once entrants have been accepted to the Imperial College Executive MBA program, students can apply to the scholarships on offer, which are awarded based on academic and professional performance and recommendations, as well as the required report submission. The Imperial EMBA requires that applicants have a minimum of five years of management or 10 years of post-graduate work experience. Entrants must also have an undergraduate degree or recognized professional qualification, and English language test results (if applicable). No GMAT score is required for admission. In addition, applicants must provide official transcripts, CV, two references (at least one professional), and the online application and fee of £100. Applicants may also submit a three-minute video pitch, in which they should share anything else that their application might not have contained.